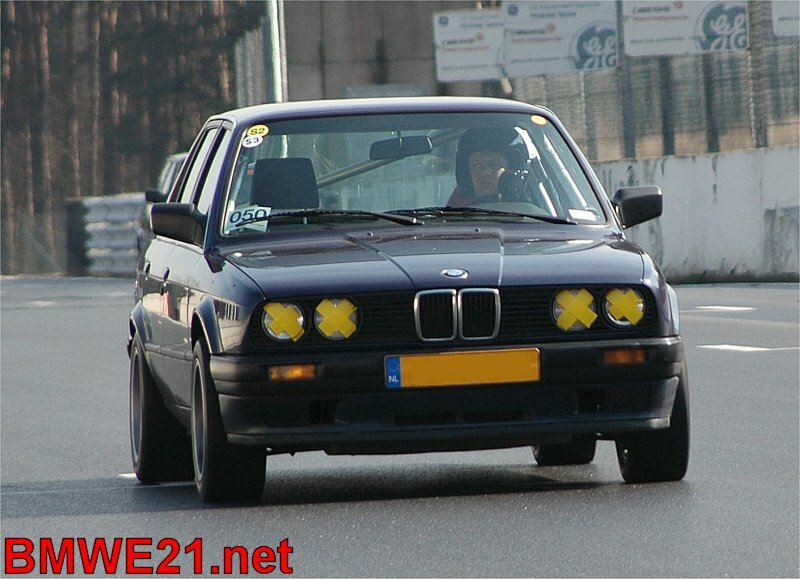 After a few incidents with other drivers losing control during trackdays, I felt I was taking too much risk participating with the 320iS, a car that’s far more special than the average trackday banger. Time to get me a dedicated trackday car! In 2005 I bought a 1988 325i that was a full street car until then. Stripped the interior, fitted a Mattes aluminum roll cage (nice and light) and did some maintenance like a brake rebuild and a timing belt change. Not too many performance upgrades, I didn’t need to be up front, I just wanted an affordable and reliable car for trackday fun. Upgrades included Ferodo DS2500 brake pads, an additional electric fan and an uprated cooling system with a larger radiator and a high capacity QH water pump. 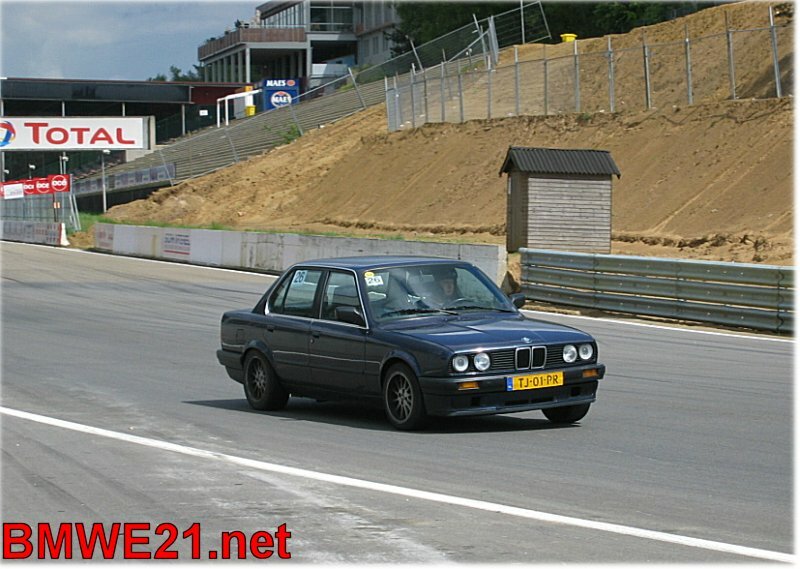 Even though the car had already covered over 240.000 kms when I got it, I have done a whole lot of trackdays in the years 2005-2008 and the car never broke down! 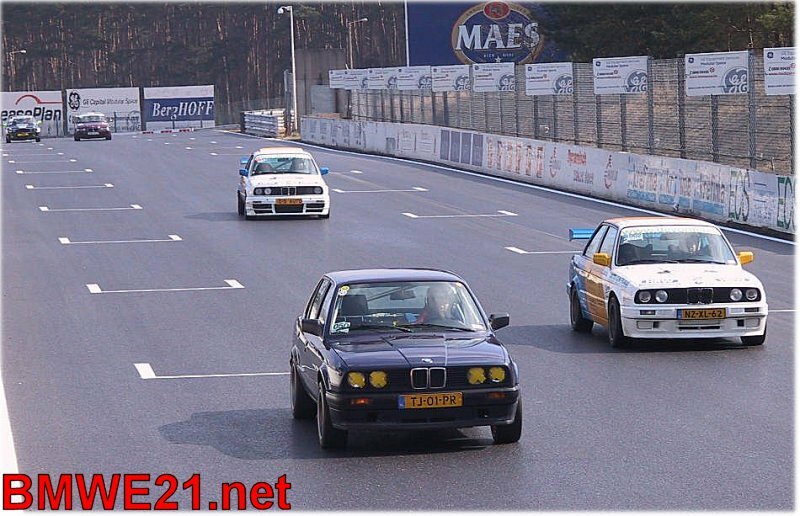 Great fun at the Ring, Zandvoort, Zolder, Spa and Assen! After running out of time and parking space for all cars, I sold the car in 2008 but the latest I heard was that the car was still being used for trackdays and drifting in 2011 and that the owner was more than happy with the power and reliability. Great memories remain.